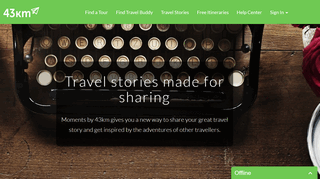 43km.co is a community of travel enthusiasts. We share travel stories and unforgettable memories from around the globe in hopes of inspiring travellers to get out and explore the world! We help travellers connect to find likeminded travel buddies and share handpicked itineraries for trip planning inspiration.